Brush Park is a Historic Neighborhood located within Detroit, Michigan. The Brush Park Community Development Corporation (CDC) is an advisory organization established to provide citizen participation in planning and development issues for the neighborhood of Brush Park and promote the continual development of the neighborhood. CDC Board Meetings are generally held on the Second Tuesday of each Month from 5:30-6:30pm at the MSU Center located at Woodward and Erskine (3408 Woodward, Detroit MI 48201). The Brush Park Community Development Corporation (the “CDC”) is the continuation of the Brush Park Citizen’s District Council. The CDC was incorporated as of December 2, 2014 as a Michigan non-profit corporation. 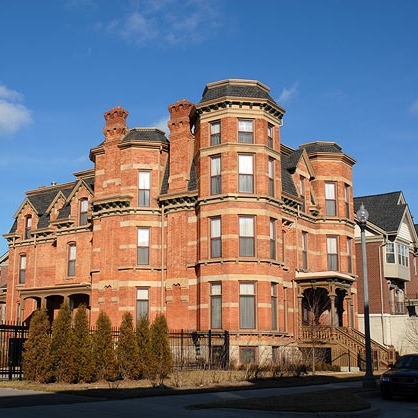 The CDC focuses on needs of the Brush Park neighborhood, which, from the CDC’s perspective, includes the current and prior Brewster-Wheeler properties (the “Neighborhood”). The primary purposes for the CDC are to provide an avenue for resident feedback on the development of property in the Neighborhood and to further collaborative efforts to improve our Neighborhood. We provide feedback and recommendations to the City of Detroit concerning new developments of property in the Neighborhood. We organize neighborhood beautification days and other initiatives to make Brush Park a great place to live. Commissioned a survey of community development preferences. Publicly supported current development and neighborhood improvement projects. Attend our monthly public meetings held on the second Tuesday of each month at the MSU Detroit Center (3048 Erskine). The Brush Park CDC is working with the City of Detroit to develop a parking strategy for our neighborhood. Please take THIS SURVEY to help inform our recommendations. Please complete this survey by Friday, March 9th. Insights from the survey and our recommendations will be shared with the community at our March 13, 2018 community meeting.